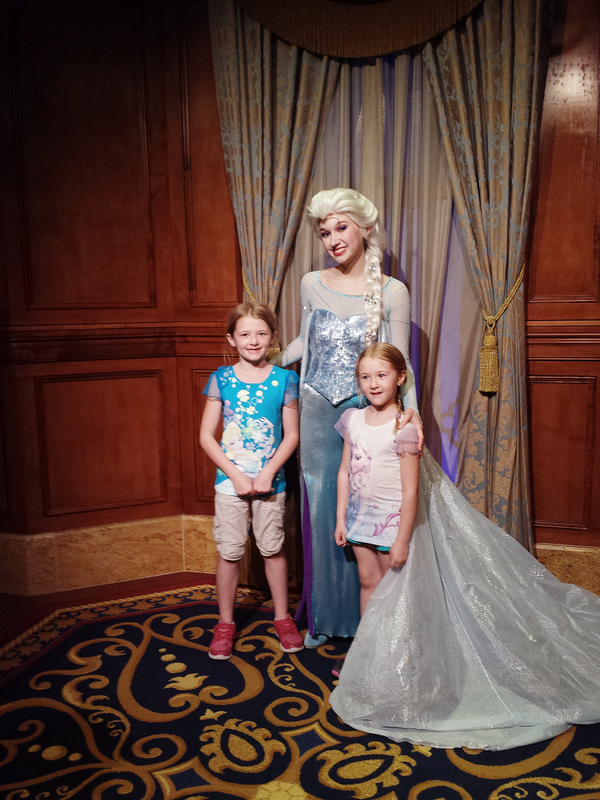 After many years of waiting and planning, we surprised our girls with a spring break trip to Florida. 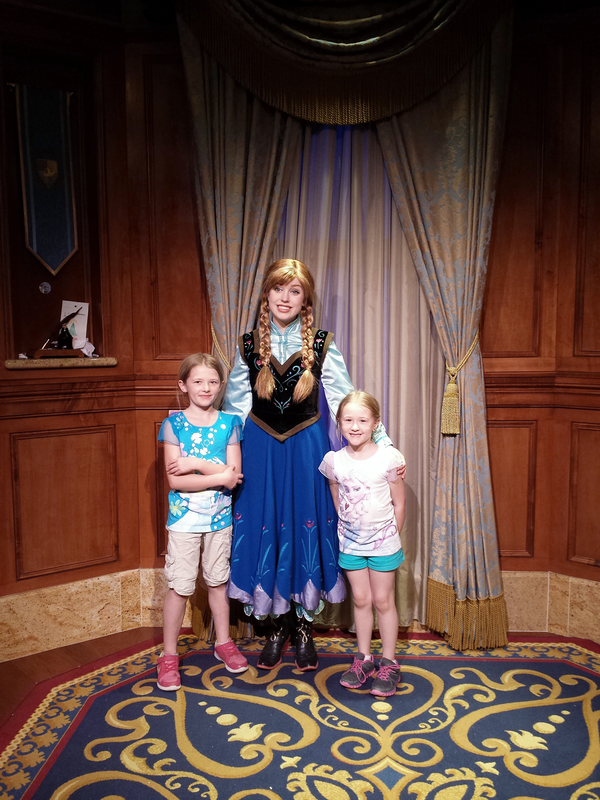 The girls are currently six and eight and at the perfect ages for the magic of Disney. After a very long drive, which went surprisingly smoothly, we arrived at our hotel in Florida and settled in to recuperate from the journey. 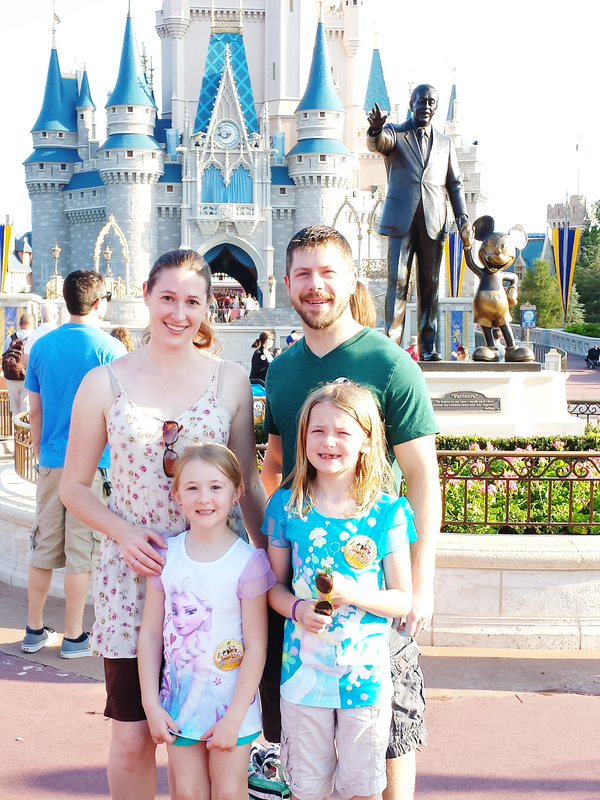 We spent all day on Friday at Disney's the Magic Kingdom. The pedometer on my phone counted us at a total of 11 miles walked around the park that day. Such a busy and magical day!! 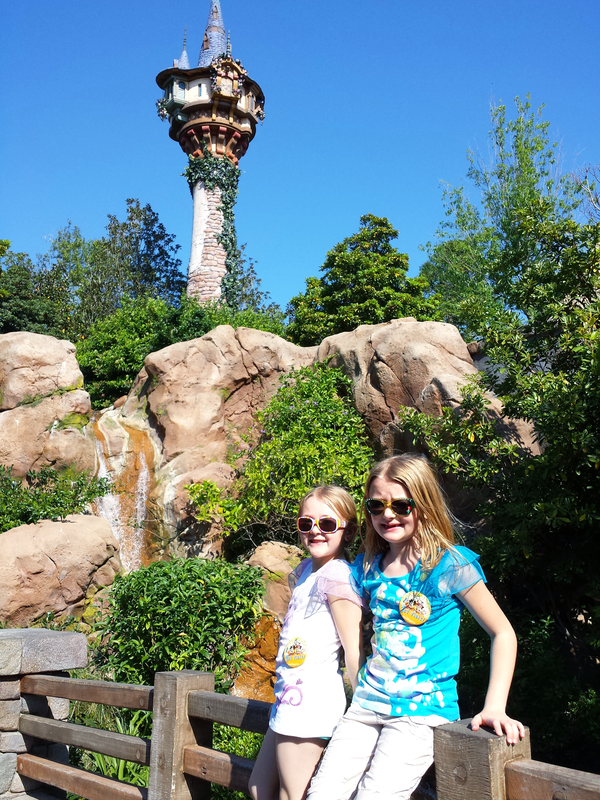 The girls loved the rides. Pretty sure Gabrielle is now a roller coaster junkie. 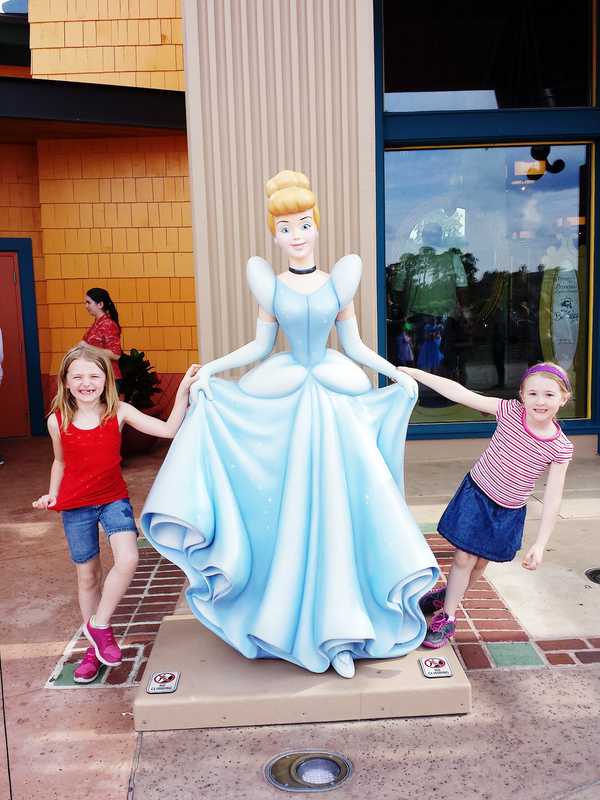 At six, she'd never been on a roller coaster before. We started her off on Space Mountain. Oh my. She was in the seat in front of me gripping onto the bar for dear life as the roller coaster began to move, so nervous and excited. 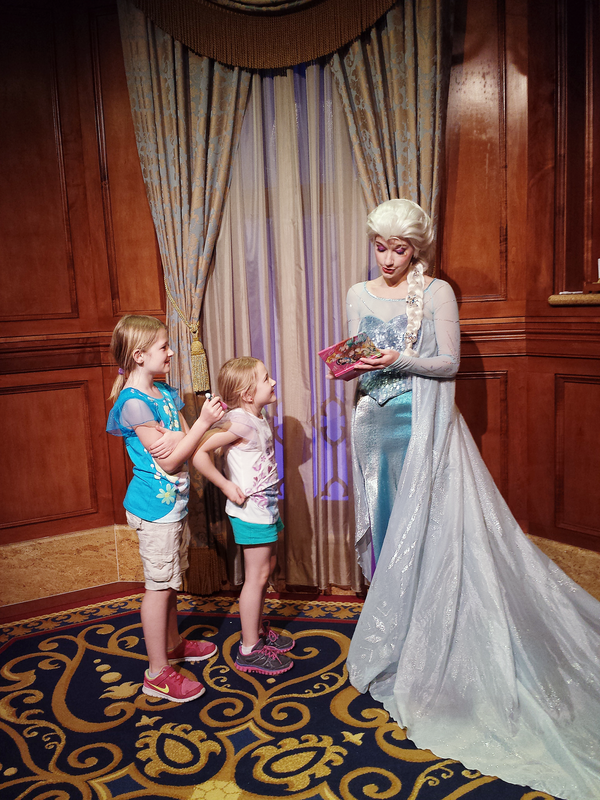 As we rounded the first turn and gained speed, all she could say was "THIS IS AWESOME!" She then insisted we go on every roller coaster there at least once and was a little bummed when we went on the rides that were more "experiences" than thrill rides. Laurelin enjoyed all of the rides; the waiting not so much however. I do have to say, they are now pros at queuing. One of the best parts of the day was watching the after dark shows. 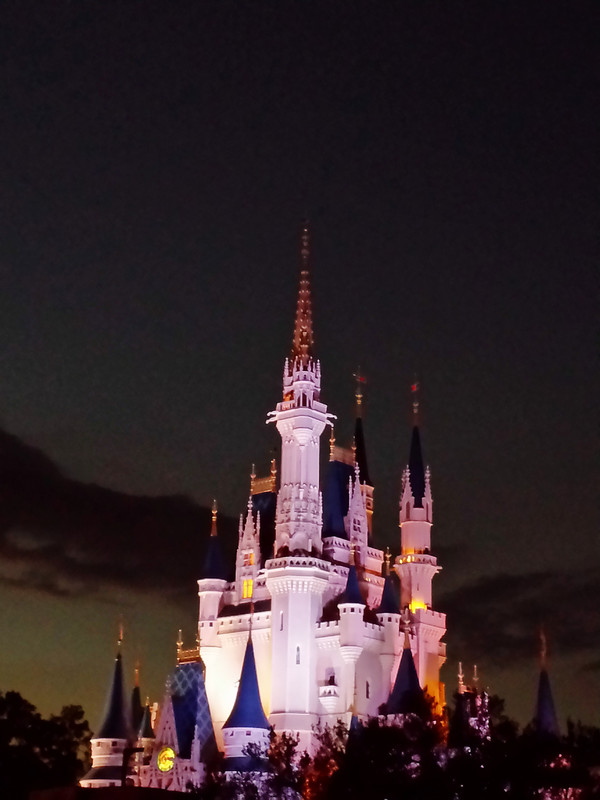 The projected show on Cinderella's castle was amazing. So much has changed in that respect since I was there so many years ago. The fireworks were beautiful as well. 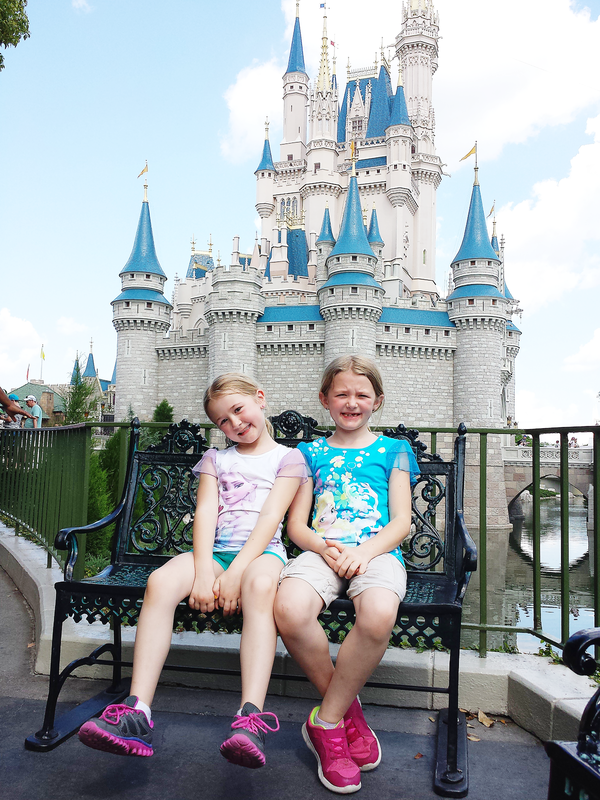 We were lucky enough to watch them from one of the bridges across Cinderella's moat and Tinkerbell flew right over us. 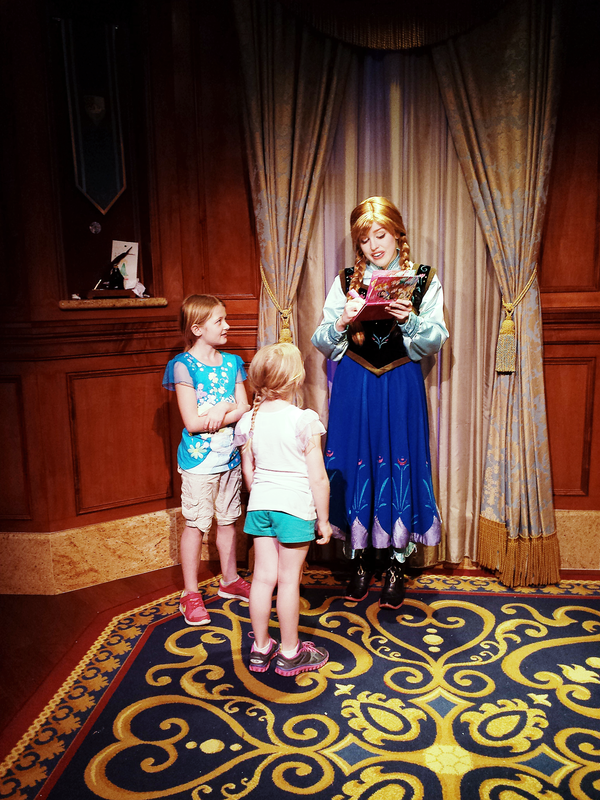 The girls were in awe, though admittedly Gabby was exhausted, a little grumpy, and very ready for bed. 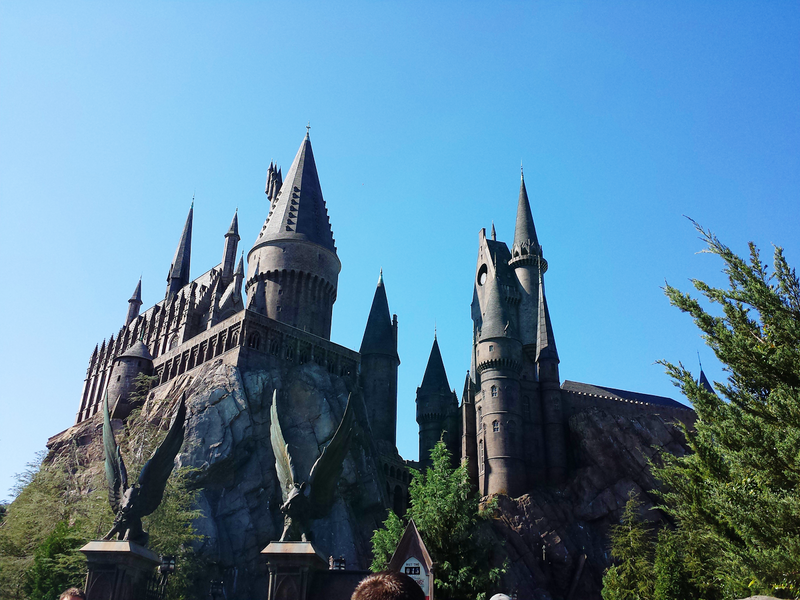 Today, we went to Universal. Thankfully, we weren't planning a ridiculously long day there. We are pretty worn out from Disney. 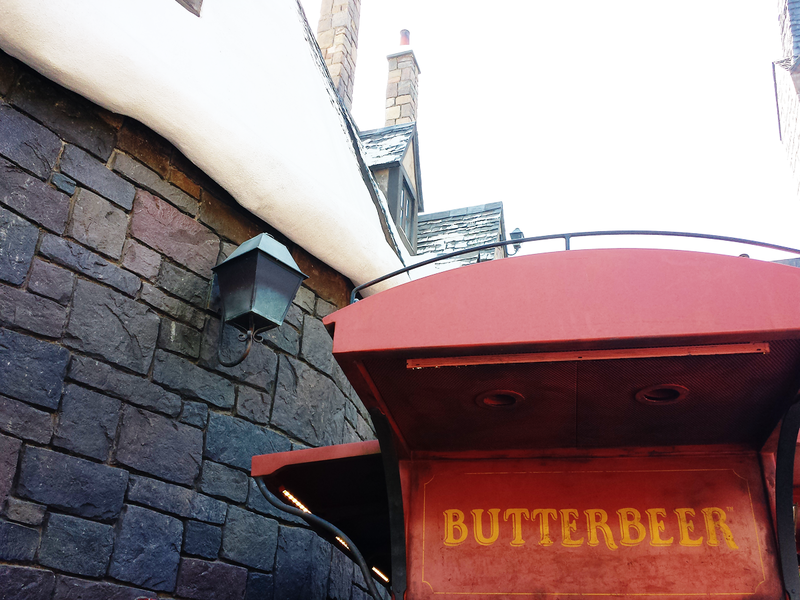 We started the day in Hogsmeade, because well, let's face it, we are nerds and LOVE Harry Potter. 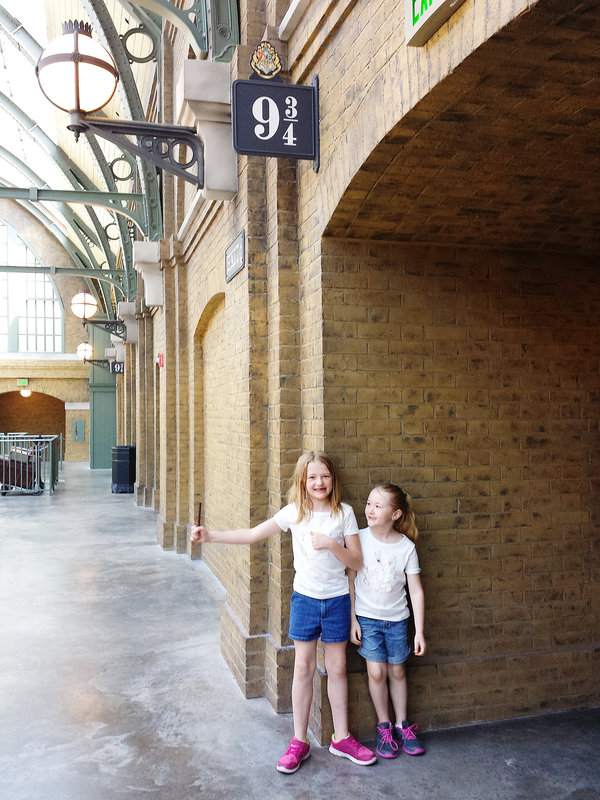 The girls are in the process of reading the series and had so much fun seeing everything. I loved all the details they had there. So many shops and so much to experience. 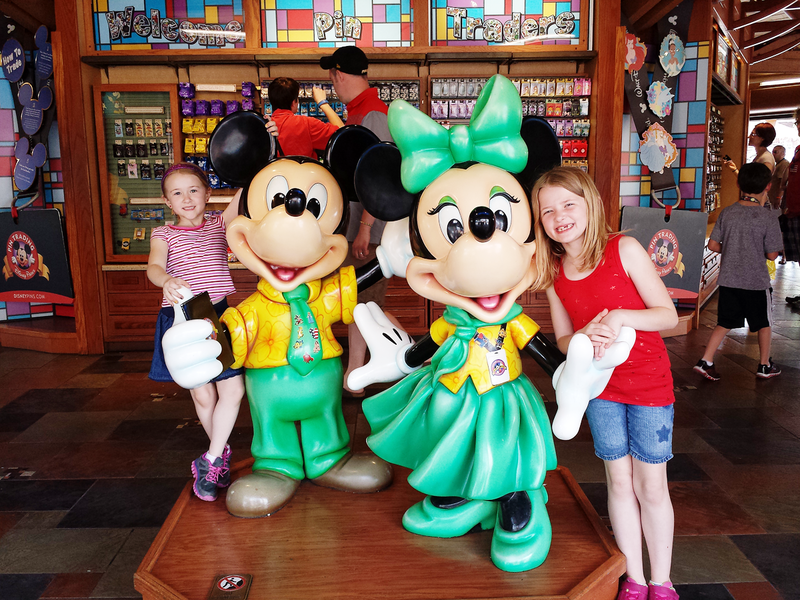 Unfortunately, Gabby was too short for most of the roller coasters, but we did get to go on some fun rides. 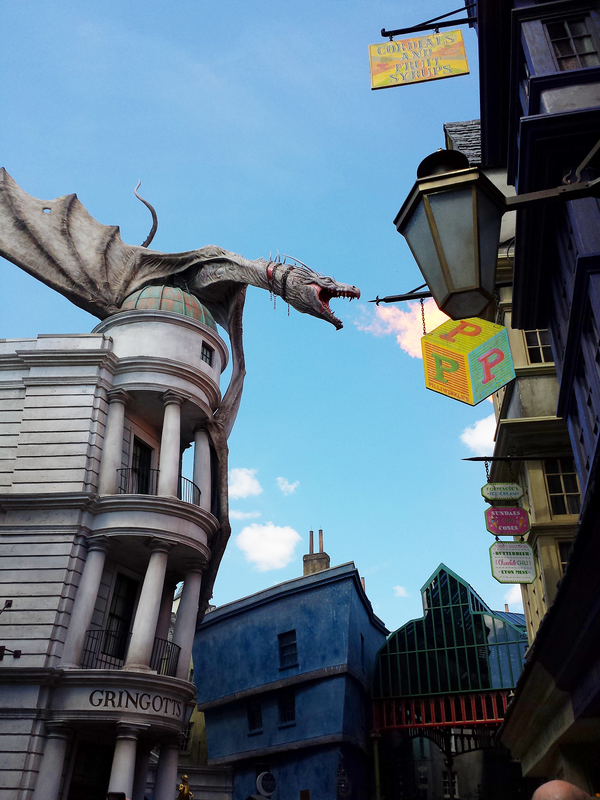 The Escape from Gringotts ride in Diagon Alley was amazing! One of my favorite parts of our experience there was the food. 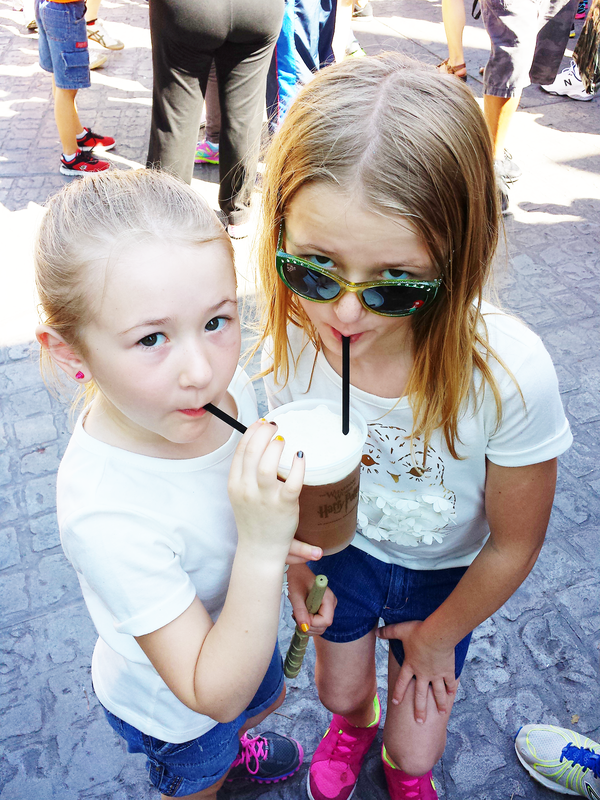 The frozen butterbeer was delicious! 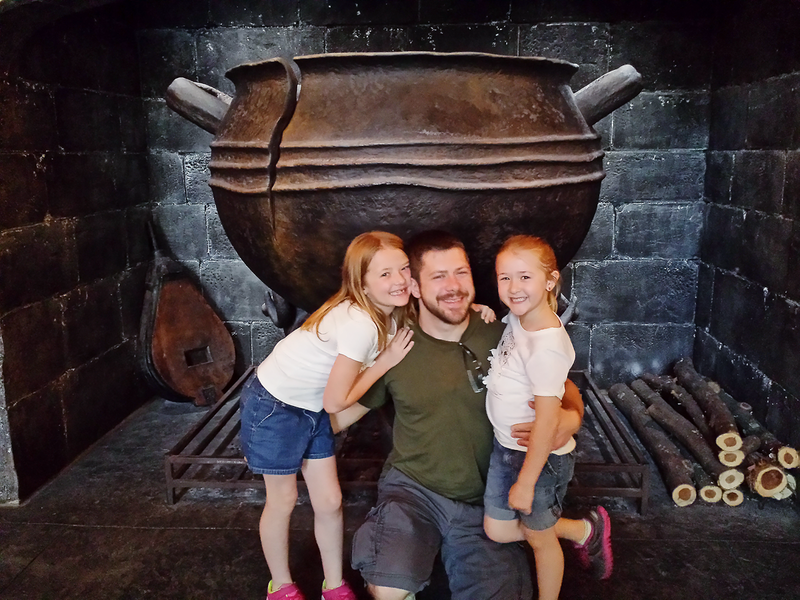 We ate lunch at the Leaky Cauldron and had some great British pub food. We had to convince the girls that bangers and mash were really just brats and mashed potatoes. Apparently, the name makes a difference despite the fact they look exactly like brats and mashed potatoes. Silly girls! 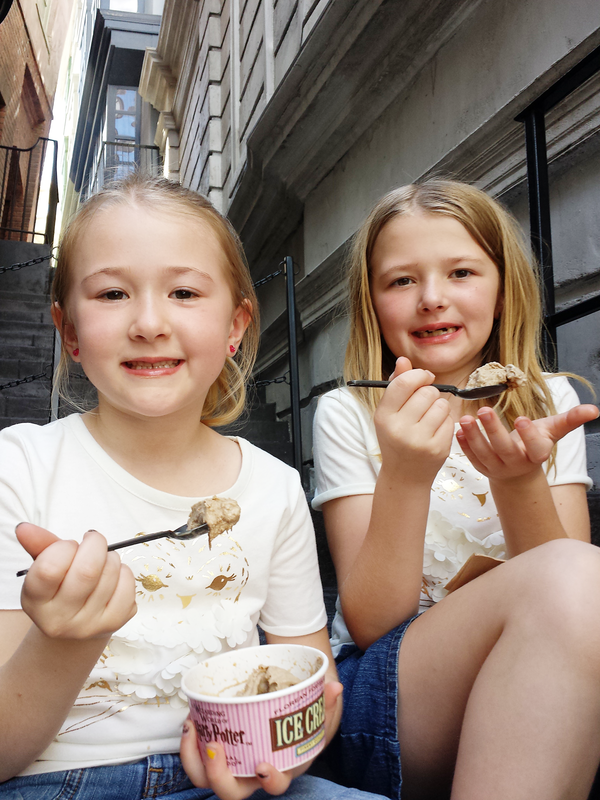 We also got ice cream from Florean Fortescue's. Such fun flavors. We had chocolate chili (which was rather spicy) and salted caramel blondie. Tomorrow, we are off to the ocean! I can't wait!